A recent relationship afflicts Tori, making her question everything she has lived the past few weeks. / Victorious, JORI, Cade - Jade West / Tori Vega / Cat Valentine. Fanfiction, Fanfic, Drama, Angst, Romance. Jade has had feelings for Tori since she sang in place of her sister just over a year ago, but how can she tell Tori, and how is Beck and her friends going to react?! Jade is the dark Goth queen of Hollywood Arts. All fear her, save for Tori, whom Jade professees to hate and all in her life is well ordered. At least until a new student even more dark and even more Goth than she is, arrives. One who takes a liking to Tori and soon all is turned upside down. The name of that new student, Wednesday Addams. As in The Addams Family. What happens after every episode of Victorious? Jori, but of course. WARNING: Femslash inside. Don't like it, don't read it. You've been warned. 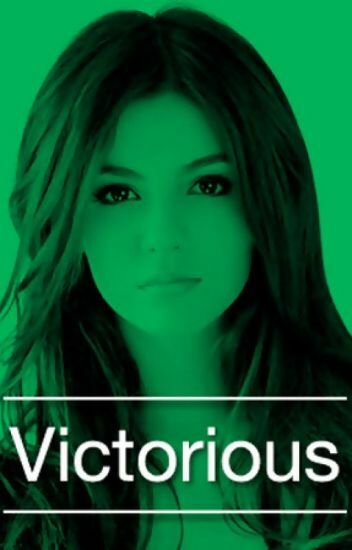 Disclaimer: I do not own Victorious. Dan Schneider and Nickelodeon does. Sure, Tori seems like a goody goody, always happy and smiling, helping others when they're in need. But Tori has a secret, one she's kept from everyone she ever loved. What happens when the person Tori loves most finds out what she's hiding. Will they help her or turn and run away like everyone else? Down Spiral- A Jori story. Jade and Tori never were the best of friends. When Jade and her boyfriend Beck break up, will Tori catch Jade? Or will everything down spiral? When Tori catches Beck and Jade Will defences crumble? Hello there...my name is Tori. Tori Vega. I'm a little nervous at the moment...so bear with me? Well I have a confession to make...it's a hard one at that. I um...well I moved here to Hollywood just a little while back and am now going to school with my childhood best friend...It sounds very fun, which it is. I missed him a lot, and now we go to a performing arts school together. You might wonder how it could get much better? Well the story is, it was going as it should have, wonderfully. Then something happened...I never planned it to happen. I just...well...I accidentally fell absolutely and uncontrollably in love, with his girlfriend. Tori Vega, good girl, straight A student, musical master. No one would have expected her to be forced with a life changing trauma. But she did. She had many to turn to but who was her choice? Jade West, bad girl, possible straight A student, Musical, acting and producing master. She hates Tori with a passion, yet no one knows why, Jade hers doesn't know. But what happens when her enemy appears at her doorstep crying and in need of someone to help her. Follow these two on a journey of love, betrayal, friendship, family and life advice.